The lens that changes everything by Johnson and Johnson. Contact lenses under the Acuvue brand include: the hydrogel: Acuvue 2, the newer silicone hydrogel: Acuvue Oasys , the torics: Oasys for Astigmatism, The Mutifocal : Oasys for Multifocal. The Acuvue 1 Day include, 1 Day Moist, 1 Day True Eye and 1 Day Oasys and 1 Day Acuvue Define. All ACUVUE contact lenses include UV protection . 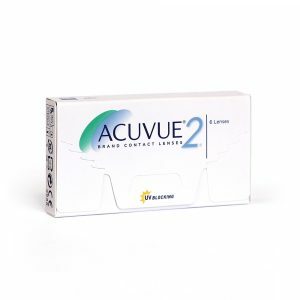 Acuvue 2 is a two-week contact lens . Highly popular hydrogel lens from Johnson and Johnson. 1 Day Acuvue Moist, a daily disposable contact lens that helps create a cushion of moisture similar to natural tears. 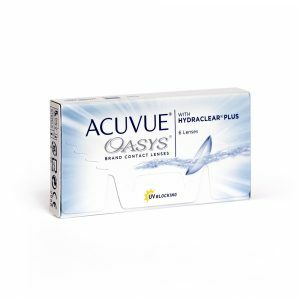 Acuvue Oasys contact lenses with Hydraclear Plus – a silicone hydrogel contact lens that provides a greater sense of comfort . 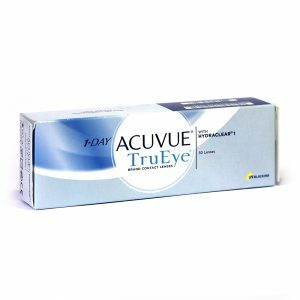 1 Day Acuvue TruEye a super-breathable, daily disposable contact lens that helps maintain the natural state of the eye.